What is the best time to visit Puri? Puri is a beach destination, which has a pleasant and charming weather all year round. Though summers (April-June) in Puri are hot, and winters (December – -February) are cold. Therefore, the best time to visit Puri is from November to February, when Puri’s appeal is on its peak. Which are the top 5 must-visit places in Puri? Puri Beach, Jagannath Temple, Konark Beach, Raghurajpur Artist Village and Chilika Lake are the top five places to visit Puri. 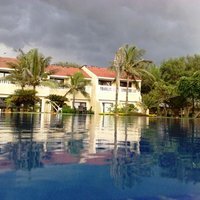 How can I get attractive discounts on hotels in Puri? One of the best ways to book an accommodation at discounted rates is through online travel portals. 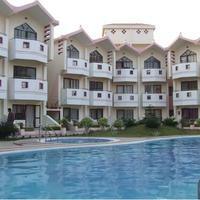 Cleartrip is one such website where all types of hotels in Puri are available. You can also use a valid coupon code to avail instant cashback while booking a hotel of your choice on Cleartrip. Can unmarried couples stay in hotels in Puri? There are just a few hotels in Puri which allow unmarried couples to stay together but it is mandatory to show suitable identification proof, such as Aadhar card, Voter ID, etc. at the time of check in. How can I find hotels near Jagannath Temple, Puri? 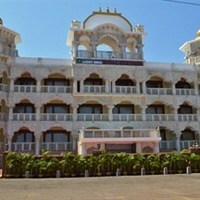 One can easily find hotels near Jagannath Temple on Cleartrip. All you need to do is enter the location in the Where field option on the Hotels Page. The lists of hotels near Jagannath Temple will be displayed in the search results, and you can book the hotel as per your choice. 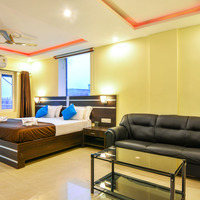 How do I book hotels near Sea Beach Vicinity, Puri? 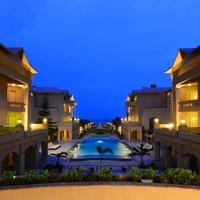 Go to the Cleartrip Hotels Page and search for “hotels near Sea Beach Vicinity” in the Where location filter. 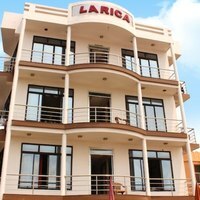 List of hotels near the locality will be displayed, and you can choose from the listed ones as per your need and budget. Do Puri hotels offer Wi-Fi facility? Yes, there are several hotels that offer this facility. For more hotels with Wi-Fi in Puri visit the Cleartrip website. There are some hotels, which offer complimentary Wi-Fi to guests whereas some provide this on chargeable basis. However, it is advisable to contact the hotel and confirm on this matter before confirming the booking. What can I buy from Puri? Things that you can buy in Puri are handicrafts, traditional sarees, cigar boxes, jewellery, baskets and decorative trays, canopies, stone bowls and stone statues, and more. Can you tell which are the popular spiritual places in Puri? Some of popular spiritual places to maximize your spiritual and religious experience in Puri are Jagannath Temple, Konark, Gundicha Ghar Temple, Loknath Temple, Daria Hanuman and Sonar Gouranga Temple, and many more. Can you list the top 5 shopping areas in Puri? Main Market/FLEA Market, Biraharekrushnapur, Red Cross Road, Balisahi Main Road, and Utkalika - Grand Centre are the top 5 shopping places in Puri. What are the famous sightseeing spots in Puri? Jagannath Temple, Puri Beach, Chilika Wildlife Sanctuary, Gundicha Ghar Temple, and Atharnala Bridge some of the famous sighseeing spots in Puri. What are some must do things in Puri? One can go for boating or excursion tours during their trip to Puri. Visit Cleartrip to get more details on the things to do in Puri . Can you list the top hotels in Puri? 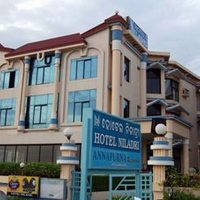 Pride Ananya Resort Puri, Mayfair Waves, Sterling Puri, Toshali Sands, Mayfair Heritage, Hotel Lucky India Royal Heritage, Pramod Convention & Beach Resort are some of the top hotels in Puri where one can find comfort and luxury at the same time. What activities and experiences can I enjoy in Puri? Being a holy place, there are not many adventurous activities to do in Puri. However, one can go for boating, excursion tours to enjoy the beauty of the place. 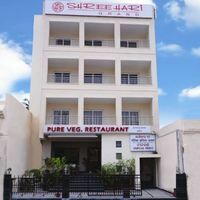 How to book a hotel for international guests near Swargadwar Vicinity, Puri? Go to the Cleartrip website and click the hotels in Puri option, and then select hotels near Swargadwar Vicinity from the Locality dropdown. 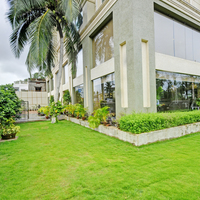 The list of all the hotels near the specified locality and choose the one that is best suited for international guests. 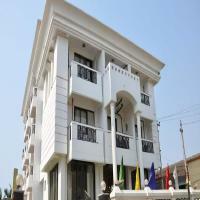 Which are some good Guest Houses in Puri? 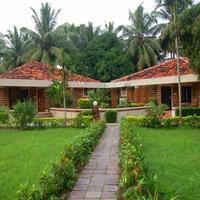 Sai Resort, Hotel Holiday House, and Arun Inn are a few options which one can choose in Puri. Can you list the best heritage hotels in Puri? 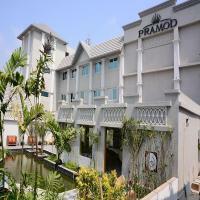 Looking for a luxury stay in Puri? 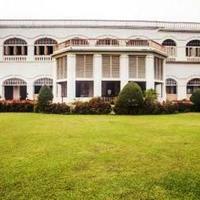 Then you can go for Mahodadhi Palace to enjoy the panoramic view of the Bay of Bengal. 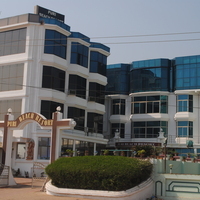 Can you name some 3-star hotels in Puri? 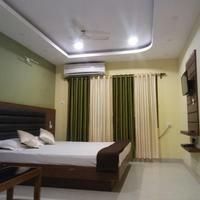 Some of the 3-star hotels in Puri are Hotel Niladri, Hotel Reba Beach Resort, Shakti International, Hotel Puri Beach Resort, Hotel Holiday Resort, and many more. 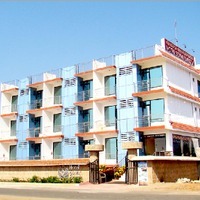 You can book your accommodation in any of the hotel of your choice in Puri using Cleartrip. Can you list some hotels in North Puri? 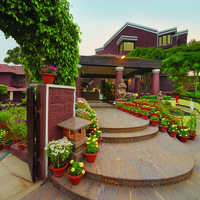 Pride Ananya Resort Puri, Mayfair Waves, Hotel Golden Palace, Mayfair Heritage are some hotels in North Puri . For more options, you can choose North Puri from the ‘Hotels by Region’ drop-down on Cleartrip website and book the hotel as per your need. Can you name some budget hotels in Puri? 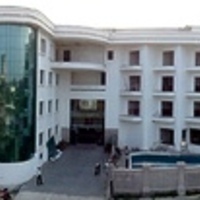 Hotel Dolphin, Hotel Sambit International, Hotel Petal Regency, Hotel Petal Regency are few budget hotels in Puri . How far is Jagannath Temple from Puri Sea Beach? The distance from Jagannath Temple from Puri Sea Beach is about 6 km and it takes approximately 10 min to cover the distance. Where can I enjoy best boating experience in Puri? Enjoy the best boating experience at Chilika Lake in Puri. One will get to see many exotic birds while crossing over the Lake. What are the top places of interest in Puri? Balighai Beach, Baliharachandi Temple, Puri Beach, Raghurajpur Artist Village, Swargadwar Beach, Sakshigopal Temple are some of the top places of interest in Puri. How to avail discounts on hotel bookings in Puri? Toshali Sands is the only resort that you can consider. 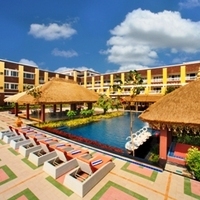 To book a resort, log on to Cleartrip website and avail the best deals at the best rates. As Puri is a holy place, there is not a lot of nighlife. Still you will not get bored as there are many options to entertain yourself. While in Puri, you can go for a movie night, or any beach where most people sit around till late night. Is room service available at Puri hotels? Almost all hotels in Puri offer room service to the guests. For options, visit Cleartrip website and click hotels with room service in Puri . Do hotels in Puri offer bar facility? Are there any hotels near New Marine Drive Baliapanda, Puri? Where can I go for weekend gateways from Puri? 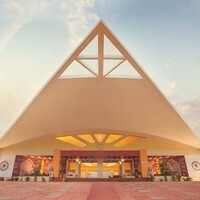 Plan your perfect weekend to places, such as Bhubaneswar, Ratnagiri, Cuttack, Digha, Chandipur, etc. from Puri.